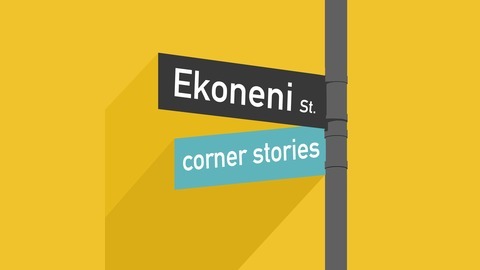 Ekoneni is a podcast about everyday people finding hope, creating connections, and making a difference in their communities. Join storytellers Pam Sykes and Jenn Warren to meet local heroes who are changing the world with bravery, ingenuity and heart. 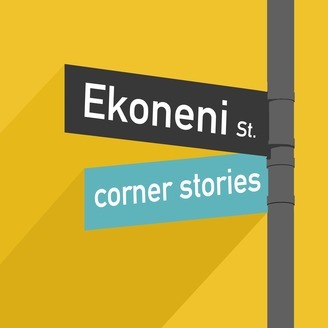 Ekoneni is the Xhosa word for "corner" - and in South Africa, the street corner is where people hang out, trade stories and watch life unfold. Follow us wherever you listen to podcasts. Season Two of Ekoneni is currently in production. Season One was supported by the U.S. Consulate of Cape Town and the American Corner, Cape Town Central Library. We round out our first season talking to Marcela Guerrero Casas, the Managing Director and co-founder of Open Streets Cape Town, which describes itself as "a citizen-driven initiative working to change how we use, perceive and experience streets.” Born and raised in Bogota, Colombia, Marcela lived and studied in the United States before moving to South Africa in 2006, first finding her feet in Johannesburg and then settling in Cape Town. Marcela’s outsider perspective has helped Capetonians imagine their streets differently, and her energy has steered those dreams towards reality. In this episode, we talk with Marcela about segregation, gentrification, questioning our place in the world, the power of small mindful actions, and the value of stubbornness. __ Ekoneni is supported by the American Corner Cape Town and the US Consulate of Cape Town. It's produced by Pam Sykes and Jenn Warren, with music by Bottled Sounds and the talented Shaun Lawler. Follow us on iTunes or wherever you listen to podcasts.